There are so many vegetarian and vegan meats out there now, which is GREAT! But…some are better than others. As I stumble upon different products that taste really yummy, I’ll share them. First up, gardein bbq pulled shreds. This product is perfect if you come home late from work and need something substantial and filling to eat, yet you just can’t be bothered to cook. Get this–only 160 calories and 19 grams of protein! And it tastes really good! I mean, really good! Vegetarians constantly get asked the question: “Where do you get your protein?” Well, here is a prime example. 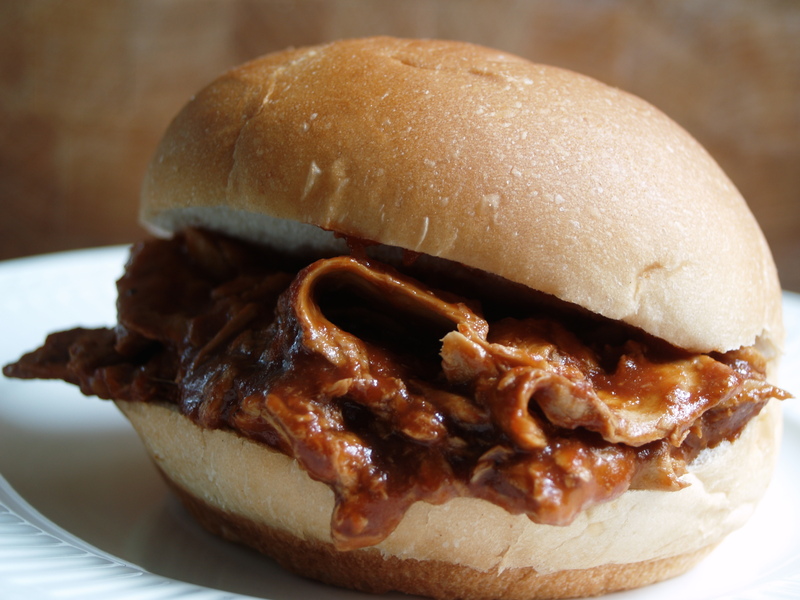 It tastes just like a bbq pulled chicken sandwich, only no chickens had to be sacrificed. Amy’s makes a ton of quick, good food. My friend Eli’s favorite is the Tofu Scramble and before I started to cut way back on dairy, I loved the very naughty Cheese Enchiladas. 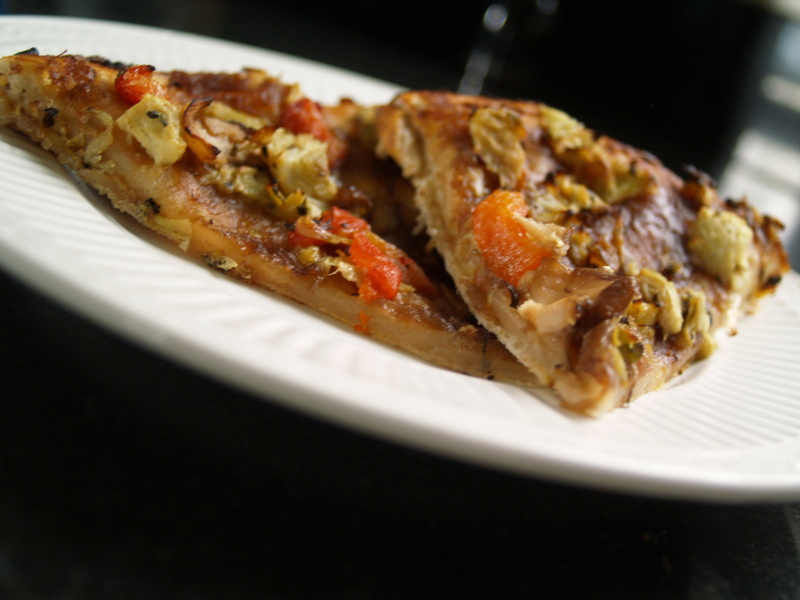 One day I begrudgingly tried a slice of the Roasted Vegetable No Cheese Pizza (cheese-less pizza? really?) and I ate my words. It was unbelievable. The crust, the caramelized onions, the artichoke hearts, and everything else is just perfect. Cheese would have ruined it. I now have it in my freezer–always–just in case we don’t feel like cooking anything elaborate. Seriously, from one non-believer to another, this is one pizza that needs no cheese. I’ll share more with you as I go, but these are the two I just can’t get enough of lately! I know — they are pricey, but oh so much better (and cheaper) than ordering a pizza.